A descendant of the Meriam people of the Torres Strait, Kerry Arabena's work has brought her to the forefront of Indigenous affairs in Australia. A former social worker with a Doctorate in Human Ecology, Kerry is the Chair of Indigenous Health and Director of Onemda VicHealth Koori Health Unit at the University of Melbourne. Prior to taking up this position in January 2013, she was Director of Indigenous Health Research at Monash University. 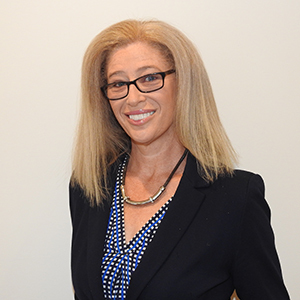 With an extensive background in public health, administration, community development and research, Kerry is also Chair of the National Aboriginal and Torres Strait Islander Health Equality Council and a Director of Indigenous Community Volunteers. Kerry provides supervisory support in Social Work, Community Sector, Remote Area, Public Health and Policy, Sexual Health, EcoHealth, and Environmental Health. Kerry was the inaugural Chair of the National Congress of Australia's First Peoples, an Australian of the Year Finalist in 2010 and recipient of the prestigious JG Crawford Prize for Academic Excellence at the Australian National University in 2011.